Equinix is the world’s leading provider of carrier - neutral data centers and internet exchanges. 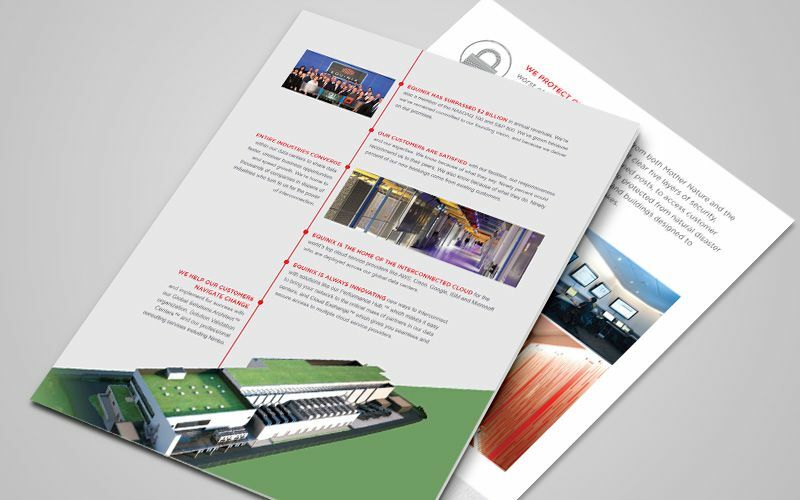 Equinix engaged Pink Tiger Media to create a corporate brochure to be target their Australian prospects and clients. The high level brief was to “explain what Equinix is all about”. While Equinix has been a long standing client this brief required we understand Equinix’s business model and objectives in Australia alongside the latest news and market drivers. We interviewed key spokes people in Australia to determine client expectation in both stylistic tone and direction. Our technical writers crafted copy in close concert with the marketing and product directors in Australia and Hong Kong. The outcome is a professionally written corporate brochure that represents Equinix’s growing presence in Australia, and designed in a look and feel that fits in with the rest of the company’s series of global corporate brochures.